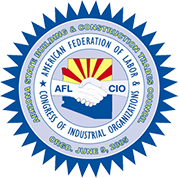 The Arizona Building and Construction Trades Council has served Arizona’s construction labor unions for more than 50 years. Now with 14 affiliates representing 11,000 members, the Arizona Building and Construction Trades Council works with its affiliates, labor partners and contractors to provide and continue to grow an exceptional construction labor force. Learn more about how our initiatives to create jobs and partner with government and industry through Model Construction Labor Agreements. Palo Verde Nuclear Generating Station – Largest nuclear generating station in the U.S.